Jump, Migaloo! In recent months, we’ve seen photographs of white giraffes and even a white moose. 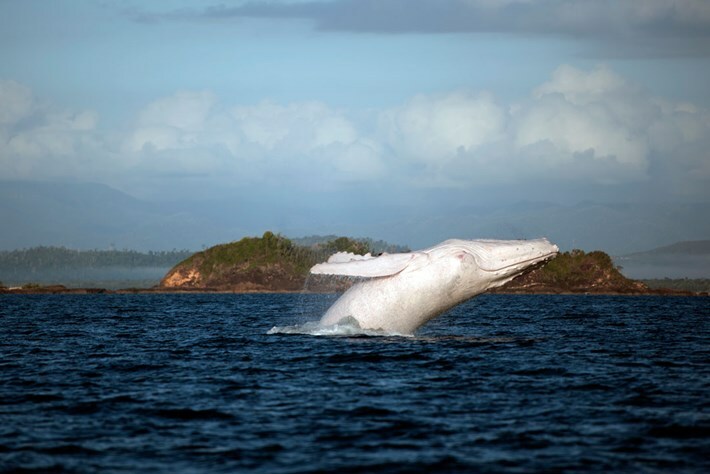 Now, footage has been shared of a rare white humpback whale, and nature enthusiasts can’t contain their excitement. 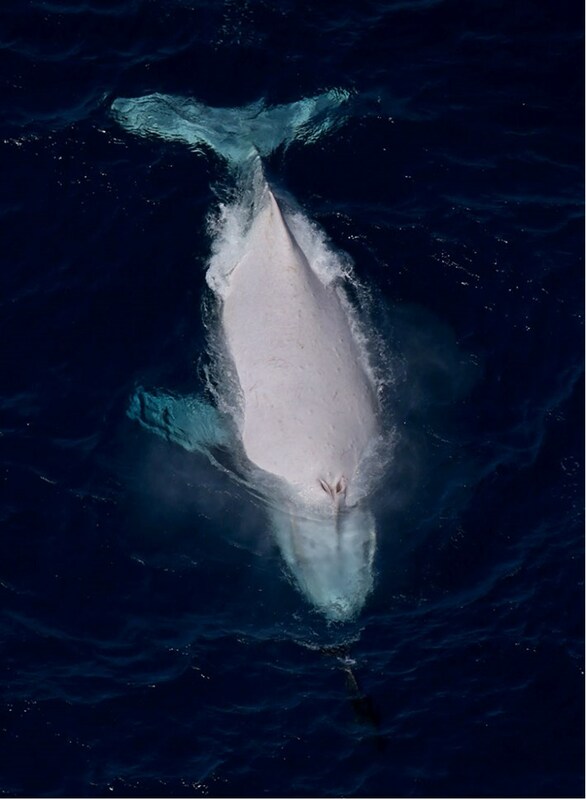 The whale, named Migaloo (after the Aboriginal word meaning “white man”), was recently spotted off the coast of Sydney, Australia. And, he is just as majestic as many remember. 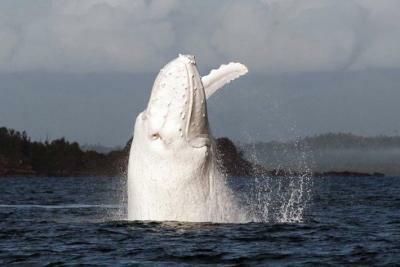 Migaloo was first spotted in 1990 and is believed to be around 30 years old. As National Geographic reports, it is unknown whether or not he has leucism (a condition which results in white or patchy skin, but the eyes remain dark) or is a true albino, meaning he doesn’t produce any pigment at all. The video (below) was captured by Whale Watching Sydney photographer Jonas Liebschner, who had been patiently waiting for Migaloo all week. Due to commercial whaling, humpback whales were once close to extinction. A mere 100 remained in the oceans. Since legal protections were put in place, however, their numbers have recovered. The International Union for the Conservation of Nature (IUCN) says there are approximately 20,000 humpback whales that migrate to Australia each year. Fortunately, Migaloo remains one of them.